Approved for development, GRS is Durango’s newest residential neighborhood, located less than 2 miles from Historic Downtown. Get started towards your dream home today! The Green Ridge Subdivision is covered by the Ute Pass HOA and takes full advantage of all the beauty Southwest Colorado has to offer. 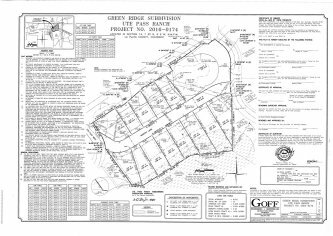 All the improvement plans for the Green Ridge Subdivisions have officially been approved and show all the necessary information related to the property. Goff Engineering and Surveying Inc. have produced documents that include stormwater management, street improvements, sewer notes and other general notes. Visit our website to get in touch to view plans and approved plats. Situated just outside of historic downtown Durango, Green Ridge Subdivision allows for quick travel from town to the mountains. Enjoy the stunning views of the San Juan Mountains, the charm of downtown Durango and the Animas River. Stretching more than 10,000 miles, the San Juan Mountains offer an array of outdoor recreational activities such as fishing, hiking, skiing and more. Additionally, the Four Corners area offers millions of acres of National Forest and Park land to enjoy with family and friends. 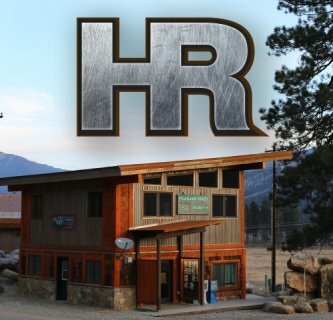 To learn more about the Durango area, visit The Durango Area Tourism Office. For more information on County documents, Covenants, Bylaws and detailed notes regarding the 8.012-acre subdivision, visit our website or get in touch. Just minutes from downtown Durango, these lots are prime and ready to be sold!